Adding labels on ranking options? I would like to create the rank list exactly as the screenshot. Could you please let me know how that was done ? 1. Add the "Matrix" field found uder the "Survey Tools" section. Set up the rows and columns properly. 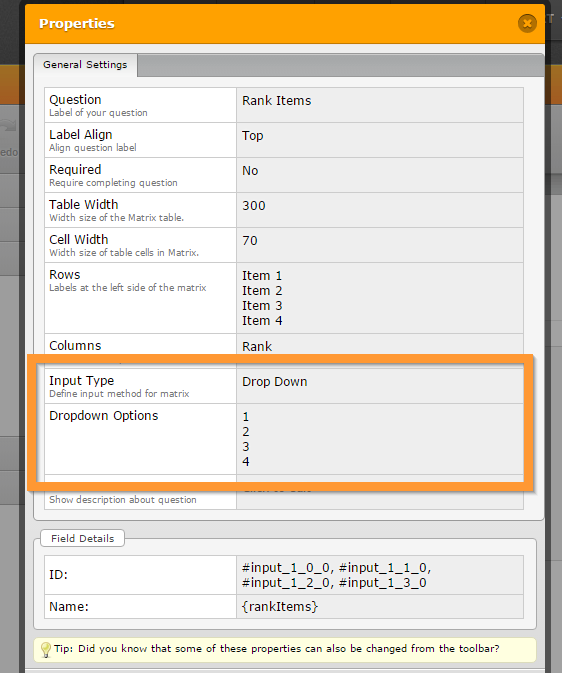 Change the "Input Type" to "Drop down", depending on the input type you want to have. 2. Now to set values on the drop down option, click on the matrix field and choose "Edit Properties". 3. In the "Properties" window, change the "Dropdown options" here. Thank you. Looks good. 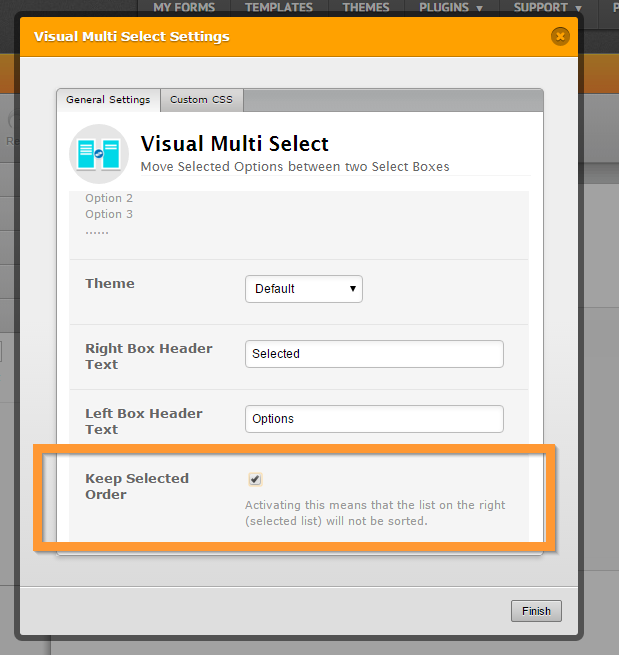 However, the user is able to choose the same number from the dropdown, which could be used before. Is there a way to restrict the dropbox numbers not to be reused ? Unfortunately, the matrix field does not have a feature or option that restricts the selected items. However, we do have a couple of widgets that allows this. 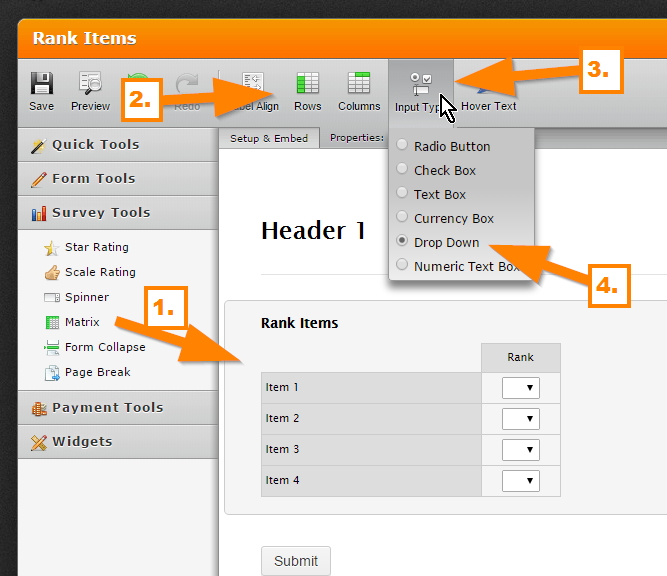 Note: The 3rd widget allows you to have the selected items in the order that the user selected them. Thank you. will work around it. You are welcome. If you need any help again, please do feel free to contact us anytime. Thank you.